av Andrew Sean Greer (forfatter). rthur Less is a failed novelist about to turn fifty. A wedding invitation arrives in the post: it is from an ex-boyfriend of nine years who is engaged to someone else. Arthur can't say yes - it would be too awkward; he can't say no - it would look like defeat. So, he begins to accept the invitations on his desk to half-baked literary events around the world. From France to India, Germany to Japan, Arthur almost falls in love, almost falls to his death, and puts miles between him and the plight he refuses to face. 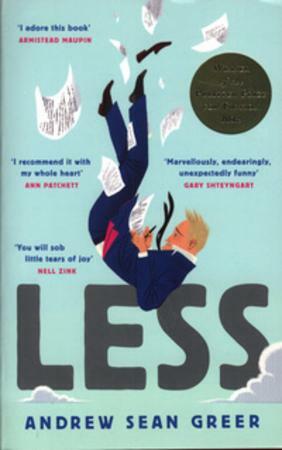 Less is a novel about mishaps, misunderstandings and the depths of the human heart.